A deeply moving, beautifully written, and transforming story of how one family lived through unbearable tragedy and separation while finding the love and courage to journey back to life. Meticulous and moving...Louise Nayer's memoir makes a large statement about human healing. 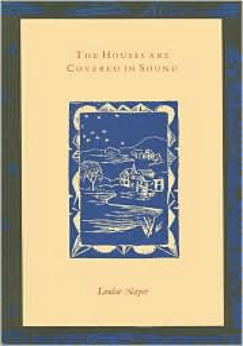 As a poet and writer Louise Nayer has established herself as a singular voice of her generation. Your parents were extraordinary people. It seems a miracle that they could have a reasonably normal and content life after that tragedy. Burned...tells the story of how the author's parents were horribly disfigured by an accident that occurred when she was four years old and that transformed their lives. Her startling memoir...recounts her childhood grief and the gradual healing...in unflinching detail. Louise Nayer's devastating memoir "Burned" will rip your heart out, then slowly but with determination put it back together again. This is a haunting but ultimately healing story that proves the power of love. The poet Louise Nayer...recounts the shock and family trauma that resulted from that accident (that burned her parents). Her new memoir Burned is about her family's vacation in July 1954, near Indian Neck Beach...but it all went horribly wrong...56 years later Louise is returning for the first time to Wellfleet. Perhaps to the cottage itself. This book is filled with family rituals for many important occasions. Rituals are simply events given what Mary Oliver calls "the rich lens of attention". But in the end, they are what give us mindful joy and connect us to each other. I recommend this book as a way to be more intentional in the life of your family and community. 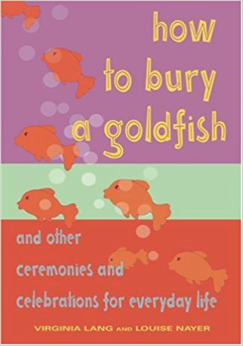 'How to Bury a Goldfish' is a great gift. Filled with rituals that bring simplicity and clarity to our busy lives, it reminds us that everyday family traditions are what give our lives meaning. Louise Nayer is a markedly gifted poet. She has sharp imagery and honesty in her work, and her poetry is in touch with life, as poetry at its best is supposed to be.